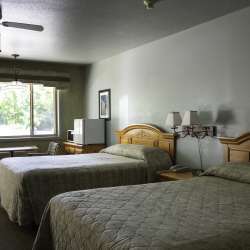 Conveniently located on M-88, the town’s main road, Bellaire Inn offers the familiar comfort of a family run inn. Its central location makes it an ideal “home base” for experiencing all that the area has to offer, including winery tours, exceptional golf, hiking, biking trails, and downtown dining and shopping. Bellaire Inn features 25 rooms, several of which come with a Jacuzzi, which is perfect for a relaxing soak after a long day exploring the sights. 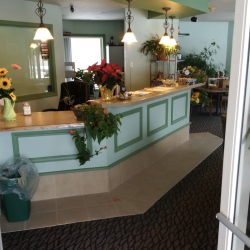 After a welcome night’s sleep, many guests enjoy a hearty breakfast at Mama’s Country Kitchen, a family run restaurant across the street from the Inn.